to go Beyond the Fortress? As Christians, we have established meaningful traditions in our worship. In doing so, we have built “fortresses” around ourselves, in order to keep these traditions alive. For some the fortress is their church, for some it is their faith. We carefully guard our fortresses (with open doors – not closed doors), but we all feel safe and secure in our personal Fortress. What happens when we leave our security, and move out into the community and witness our faith? But what happens when we go Beyond our fortress. What happens when we leave our security, and move out into the community and witness our faith? Do we hide or guard the fortress, to make sure that nothing will change and our traditions are kept strong. How can we make worship more interesting and inviting and draw more people in? This has always been a topic at the forefront of discussions in the Church. It’s now more urgent than ever. Come join us at the Conference to discuss with fellow Worship Leaders how to be comfortable beyond the fortress, and explore what happens when we move out and profess our faith to all who will listen. 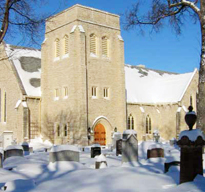 The National Worship Conference is a biennial conference sponsored by the Evangelical Lutheran Church in Canada and the Anglican Church of Canada. The Conference welcomes participation by clergy and laity of these two churches as well as clergy and laity from other churches who seek to build up the life of the Christian community through our worship so that we might serve the world God loves. Find out more about the The National Worship Conference or register.